Begging for money will likely result in a negative effect. Sometimes it can be tempting to beg the universe to give you what you want. In fact, you may even feel as though the world owes you more money and better health (or whatever else is eluding you). However, begging the universe to give you something is not the key to getting it. Here’s a good way to understand the concept that asking for something doesn’t always get it for you. Have a friend drop you off in a busy area. Leave all of your belongings, including your phone and wallet, in the car. Then, ask as many people as you can for $20. You cannot tell anyone why you are doing this. Money does not equal love and love is priceless. 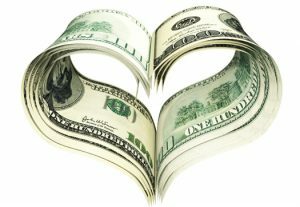 You are loved – now deal with it and let the money flow!